In July 1976 in Philadelphia, an outbreak of pneumonia affected 221 people attending a convention of the American Legion in the Bellevue-Stratford Hotel, killing 34. The causative organism was positively identified several months after the outbreak as little known bacteria subsequently named Legionella. Up to 30 species of Legionella have now been identified that occur naturally in soil and water bodies. As a result, ideal conditions of nutrition and temperature will allow this species to easily colonise man-made water handling and storage systems such as those commonly found in hotels and large office buildings, as well as fountains and more complex water systems such as those found in hospitals. Legionella infection is caused by the inhalation of water aerosols containing the bacteria. The Bureau of Communicable Disease Control estimates that about 8,000 to 18,000 cases of Legionnaires’ disease occur each year in the United States, and cases continue to be reported in Australia each year. Because of its widespread presence in nature and its ability to thrive in man-made water systems it is unlikely that Legionella can be completely eradicated. However, by suitable design, maintenance, treatment and testing it is possible to control the conditions that favour microbial growth in man-made water systems. Our team has a wealth of experience in risk assessment and management of Legionella. We conduct work for clients across Australia, including commercial building owners, food marketing and logistics facilities, airline operators and airports. Our services range from routine and secondary monthly water testing to risk assessments and developing and auditing risk management plans. Our experienced team includes Cooling Tower System Risk Management Plan Auditors certified by the Victorian Department of Health. Legionella species occur naturally in soil, seawater, rivers and lakes. As a result these species can and will colonise man-made water handling and storage systems. These systems generally provide ideal conditions of nutrition and temperature for the proliferation of Legionella species. 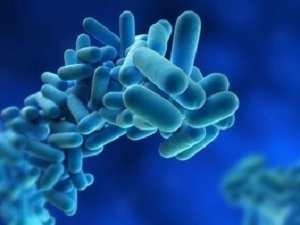 Legionella infection is caused by the inhalation of water aerosols containing the bacteria by susceptible individuals. The numbers of organisms required to induce infection is not known but varies according to age, general health and other predisposing factors. The potential for Legionella to become a hazard to the health of large numbers of people is greatly enhanced by conventional water and air conditioning engineering methods as used in re-circulating cooling towers, evaporative condensers, showers, water storage tanks, distribution systems and other aquatic systems such as whirlpool spa baths, fountains and car washes. The single isolation of these bacteria from a water system does not mean that the disease will necessarily manifest itself but if the contaminated water becomes an aerosol the risk of human infection is greatly increased as a pathway of exposure is created. Thus if man-made water systems produce jets, sprays, mists, as with cooling towers, showers, humidifiers and spray taps, it is important to minimise the chances of Legionella colonising and proliferating in the systems that serve them. The presence of these bacteria in water systems is therefore of paramount importance to engineers, building and facility managers and hygienists. The organisms can be controlled in such systems by assessing and implementing good design practices, introducing rigorous maintenance and cleaning regimes, temperature control and the use of biocides. Notably, the Victorian Government has developed the Public Health and Wellbeing (PHWB) Act 2008 and the Public Health and Wellbeing Regulation 2009 which set out a number of legislative requirements for cooling towers system located in Victoria for landowners and managers with a view to reducing the risks associated with legionellosis. The legislated Victorian standards are the minimal standard in Victoria and also considered the benchmark standard in other Australian states. The RMP should be reviewed as soon as is practicable if any of the five ‘trigger’ events occur PHWB Act 2008 Section 92 (2). Trigger events are:(a) legionella is detected in the cooling tower system on 2 or more occasions in any period of 12 months; or(b) the owner of the land is given written advice by the Secretary that a case of legionnaires’ disease is associated with the cooling tower system; or(c) the owner of the land receives a report from the Secretary or from any person engaged by the owner of the land or the owner of the cooling tower system that control measures used in respect of the cooling tower system are inadequate or require improvement; or(d) there is a significant change in— (i) any of the environmental conditions under which the cooling tower system operates; or (ii) the operation of the cooling tower system; or(e) the owner of the land receives an audit certificate that states that the risk management plan does not address the prescribed risks. Audit of Risk Management Plan (RMP) Owner must ensure risk management plan audit conducted, and that the owner of any land on which there is a cooling tower system must take all reasonable steps to ensure that an audit is conducted annually in relation to the risk management plan prepared in respect of a cooling tower system. (PHWB Act 2008 Section 93 (1))Note that RMP audits must be conducted by an Accredited Auditor. It is an offence under the Act to do otherwise. The requirements of the Victorian Act and associated Regulations are outlined in the following guidance document, the “Guidelines for Auditing Risk Management Plans for Cooling Tower Systems”. Because of its widespread presence in nature and its ability to thrive in man made water systems it is unlikely that legionella can be completely eradicated from these potentially hazardous systems. However, by suitable design, maintenance, treatment and testing it is possible to control the conditions that favour microbial growth. Any proactive monitoring system applied to buildings and their water system should be routinely updated at least every 12 months or earlier where there has been a change to the system. The increased public awareness in environmental health issues and the acceptance of approved legislation have ensured that risk assessments and appropriate preventative maintenance steps should now be considered as the norm for all buildings.